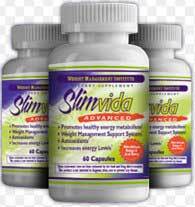 Slimvida is a weight loss supplement that purports to work by increasing metabolism. This is supposed to allow the body to burn more fat. The product promises to trim fat from the problem areas of hips, buns, and thighs by blocking up to 75% of the calories consumed from carbohydrates. Significantly, it claims that 85% of the weight lost will be pure body fat. Slimvida comes in capsule form and the recommended low end dosage is 2 capsules once per day, before lunch. 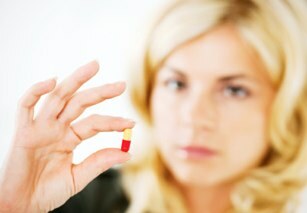 Users can also elect to take 4 or 6 capsules once per day, but taking more than 6 is not advised. A bottle contains 60 capsules and retails for around GPB 50. While taking the lowest dose, one bottle will last 30 days. Users taking the highest recommended dose will only have enough for 10 days per bottle. At this level, a month’s supply will top GPB 150. This product and the company that produces and sells it have all been the subject of numerous internet complaints. In addition to claims that the product does not work, many consumers have complained about dubious billing practices stemming from the auto-pay feature. It has been said that the company only allows people to purchase if they agree to a regular debit authority on the credit card. There are also claims that the free trails are an outright lie, and customers will in fact be charges GBP 70 for the trial bottle. A separate scam reporting website has logged over 200 individual complaints since April, 2012. On this site, users report an average of over $220 in damages. Amylezene Fractionated Bean Extract is a long name for a substance derived from white kidney beans. It is supposed to act as a carb-blocker, but there is little scientific evidence that it works. Green tea has been shown to aid weight loss in some research studies. 5-HTP is a chemical by-product of L-tryptophan and is produced from processing an African plant. Acai berry is a popular super fruit believed to bring multiple benefits to the body. It is unclear what role the white tea, oolong tea, folic acid (Iron) and Vitamins are supposed to play in weight loss beyond supporting general good health. While the website mentions scientific studies that are supposed to prove that Slimvida works, these same studies have been shown only to reflect the use of white kidney bean as a carbohydrate blocker, and are often misrepresented to demonstrate exaggerated claims of effectiveness. These studies are popular among less than honourable supplement pushers. None that are to be believed. Always consult your healthcare professional before starting any dietary supplement. Pregnant or nursing women should not take this product, nor should children under the age of 18, nor should anyone really. Slimvida is the perfect storm of a predatory company and worthless product. Only the most desperate of dieters would believe their outrageous claims, and by the time they learn the truth it is too late; their credit cards are being poached regularly with little hope of recompense. The company behind Slimvida is Natural Health Network, Ltd. They have been the subject of numerous complaints and scam allegations. The UK Advertising Standards Authority (ASA) has even ruled that they engaged in misleading advertising and remained non-compliant with requests to remove the problem claims from their website. The product itself is nothing more than bean fibre, berry powder, tea and vitamins with a bit of Iron sprinkled in. On top of the dubious scientific claims, shoddy ingredients and false advertising, consumers will also pay GBP 50 to GBP 150 per month for the privilege. We review virtually every slimming pill and diet product that comes to be and try to be as objective as possible. Our recommendations are based on not only its effectiveness, safety and value for money but also how the company behind it responds to customer service.